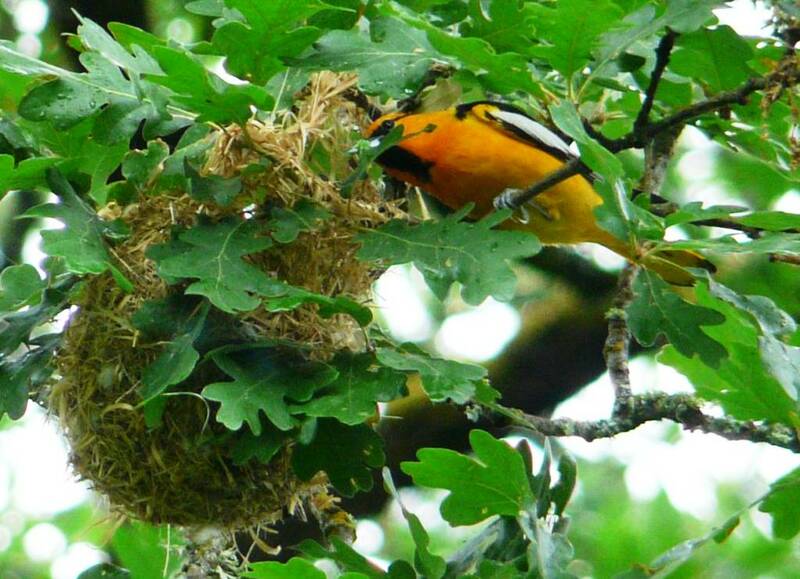 This male Bullock’s Oriole was bringing a caterpillar to his nestlings on the Oak Island Unit of Sauvie Island. This is one of the more reliable spots to find this species in the Portland area. That hanging nest is a fantastic piece of architecture. This entry was posted in nesting and tagged Bullock's Oriole. Bookmark the permalink. That’s a beautifully colored bird. Nests are always an interesting sight from a structural standpoint. This looks to be a pretty sturdy nest.